In the literacy class, we were not learning about grammar or rules but instead, we started off the year with the American history. Since most of our students want to continue university in the United States, our literacy facilitator wanted us to have a little bit knowledge on the American history before going there. We used Commonlit, an online website, to enhance our knowledge while also use it as our classroom. Every week we get a new article; we need to read and answer some multiple choice question while also writing a 1-2 paragraph response to the article. We also did something call vocabulary exploration where we need to list down the word we don’t know and try to find the part of speech then use the words in our own sentence. So far we had read many articles such as, give me liberty or give me death speech, Thomas Jefferson and the American Indians, causes of American civil war, America’s immigration, How American industry won war II, etc. Cambodia health care system is getting better over time. 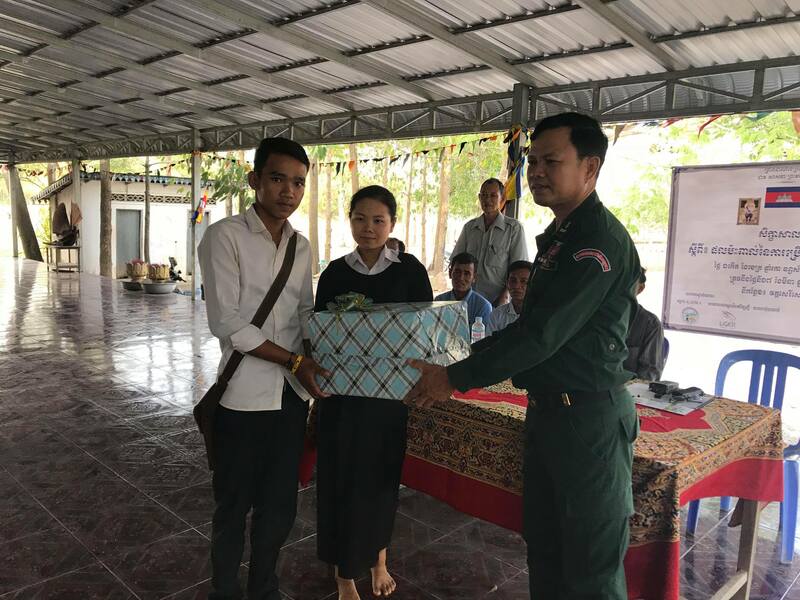 We have access to the health center in almost all district in Cambodia, We provided vaccination to newborns, and free healthcare to the poor family. However, there are a lot of areas that we need to improve such as, advanced technology, quality medical resources, educated medical staffs, and good internal system. In the past, many people need to fly to other countries like Thailand, Vietnam, Singapore, China, or Japan to pursue their health problem. However, now a day people don’t really outside the country anymore. There are now many private clinics/hospital that is capable to do more intense and difficult treat. During our exploration, we went to many of the health-related organizations and public/private hospital to gather information on their perspective to the Cambodian healthcare system. The information gave us more broad and big ideas for our healthcare system. Traditional medicine was come out a lot in people perspective, and that’s going to be my next topic to research in round 2 exploration. I’m going to compare what are the differences between the traditional medicine and Western medicine. I might look closely on how it work/function and the different win tradition medicine to Western medicine. On Wednesday, May 23rd, the hold senior students attended the Khmer Model United Nation. 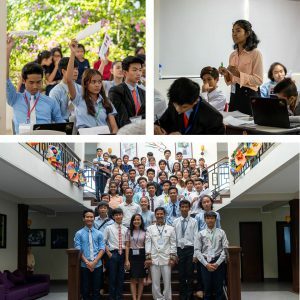 It was the first ever Khmer MUN and we are the one who organized the hold event for our self. On the MUN day, all senior student were all dressed up professional. There are two topics that we going to discuss: feeding the world growing billions and air quality control and pollution. I was picked to be the delegate of United States of America and as a representative of this country, I knew that I’m going to talk a lot. We got two weeks to research about our country related to the topics so that we can be prepared to do the discussion. It is my first time to do the Model United Nation so this going to challenge me a lot. At first, I need to give an opening speech and this is quite scary. After the opening speech, we got to discuss on the first topic, feeding the world growing billions. During this time I’m not really sure about what’s going on because had never joint this event. I didn’t talk much but enough to participate. After we discussed the first topic, I gained more self-confident and understand what was going on and this pushes me to do to do harder in the next discussion. I started raising my country flag to question other delegate and summit argument to give a speech against the resolutions. Through May 24th-29th we were head back to Koh Seh to continue our research and this probably the last trip of this year. It was nice to be back at Koh Seh serene environment, met old friends created new friends, etc. During this trip, Kep ocean was heavily destroyed by the illegal fishing and mostly from trawling that caused a lot of seagrasses wash up by the shore and caused the visibility to be really bad. Because of the visibility really bad, we didn’t get to do any underwater survey. However, we took this time wisely to practice the dolphin survey, building cluster, clean up the island, and work on our presentations that we going to present about Cambodia ocean in Malaysia on 23th of June. Even though we didn’t get to do any underwater survey but we get to do the underwater fun dive. We most of the time get to dive in front of the island where the water is shallow and a lot of coral which it makes the visibility there better than the survey site and good enough to do dive. It was a really fun dive, we got to see many seahorses, but what makes me excited the most was me finding an octopus hiding in a shell. As explained above, we also get to do a dolphin survey. So the survey was divided into 4 teams and rotate in every 30 minutes. It was quite difficult to do a real dolphin survey because it was hard to note down the information while dolphin is still moving. We saw a lot of dolphins probably more than 5 group of dolphin and more than 50 dolphins counted. 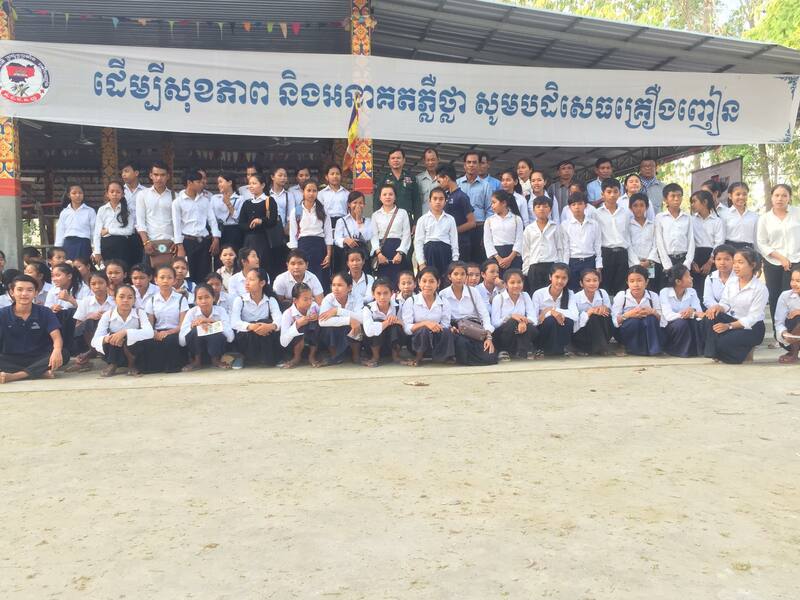 From April 2nd to the 6th, I was attending a youth camp in Mondulkiri that was run by the World Renew organization. It was a three days workshop with 68 participants came from four different provinces and Liger. On the first day of the workshop, we got to learn about Nutrition. We learned about the three groups of food, the nutrient that our body needs daily, and many types of vegetables and fruits that contain difference nutrient. This was one of my favorite topics to learn because then I can take that information that I’ve learned to cook healthier food for my apartment mate. On the same day, we also got to learn about democracy leadership. There are three types of democracy leadership: autocratic, laissez-faire, and democratic. Autocratic is a type of leadership skill where leader tell their member what to do. Laissez-faire is when leader tell their member what to do or let them do the thing they want. Democratic is when the leader asks the member to give a voice of their ideas. On the second day, we got to learn about immigration in Cambodia. Many Cambodian moves to another country for many reasons: study, job, new home, family issue etc. 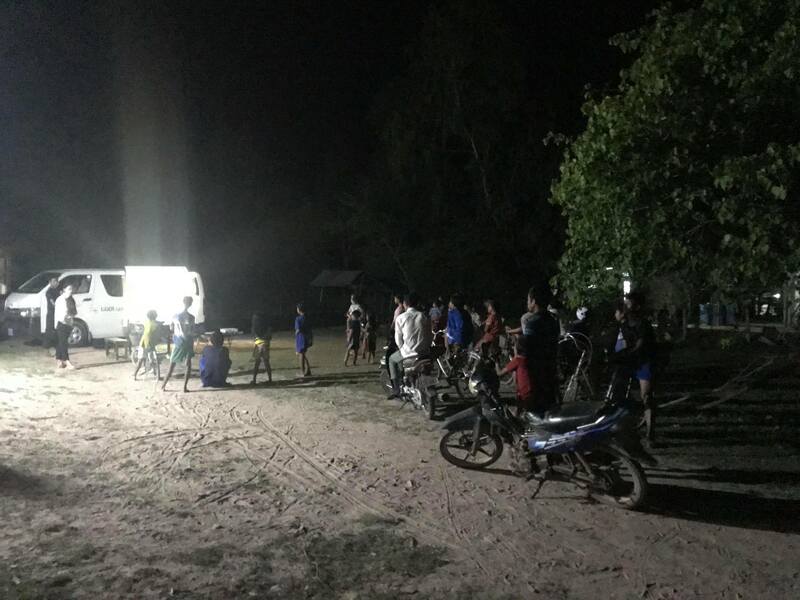 We learned how to move to another country safely because many Cambodian immigrants were having issues in the foreign country after they move there. On the third day was a special day for us because we got to lead the workshop. 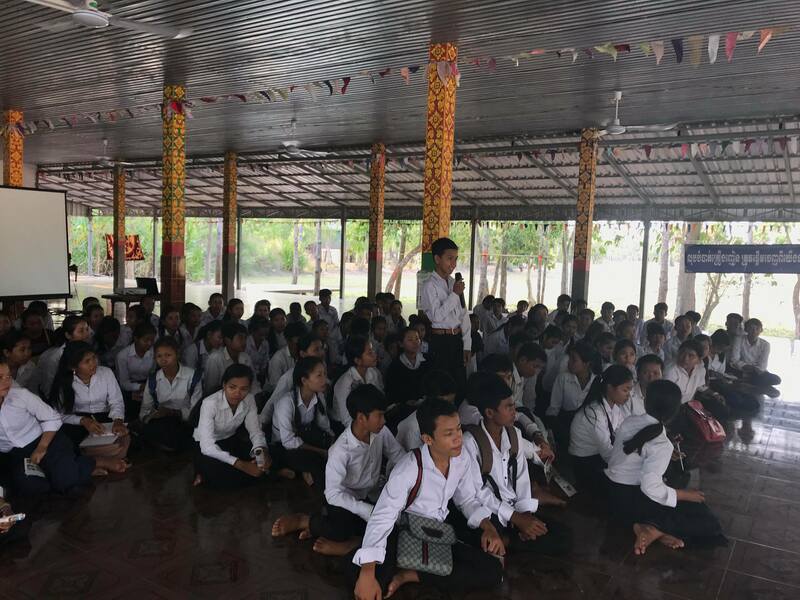 In the morning, I and the other three students including another eight students from the four provinces were doing a workshop on drugs. The workshop goes so well, the student has learned a lot from our activities while also have fun with it. At last, we got to show our educational short film and let them let create their own performance about drugs to perform to other students. In the afternoon, we also got to lead a workshop run by another group of Liger student about AIDS and HIV. One of my favorite highlights was at night of the last day. We got to see the performance from the Bunong people about the dance and music. We all really enjoyed this time, I got to dance, other people got to dance and we also got to take a photo together with the Bunong performer. After that, we had a campfire to finish the day. Drugs is one of the biggest issues in Cambodia as well as the rest of the world. 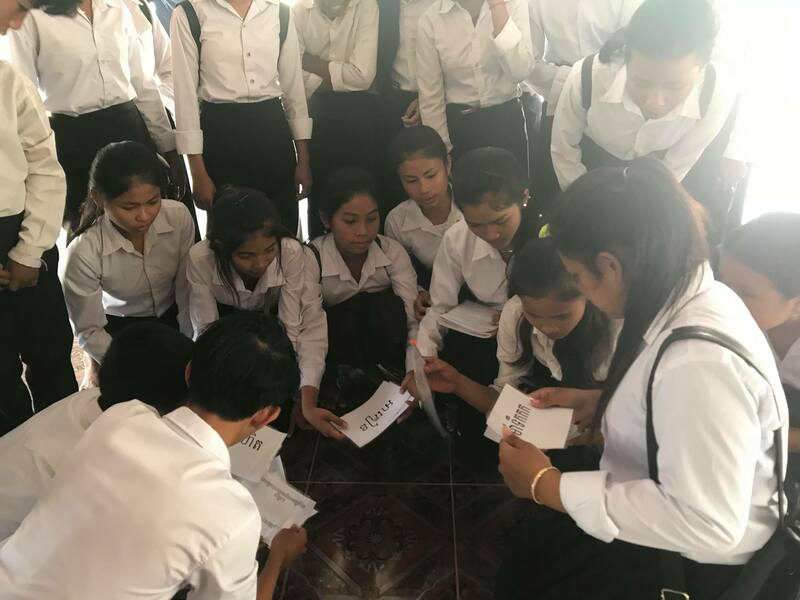 In my exploration, we are working with eight students from World Renew organization to raise an awareness about drugs in Cambodia. 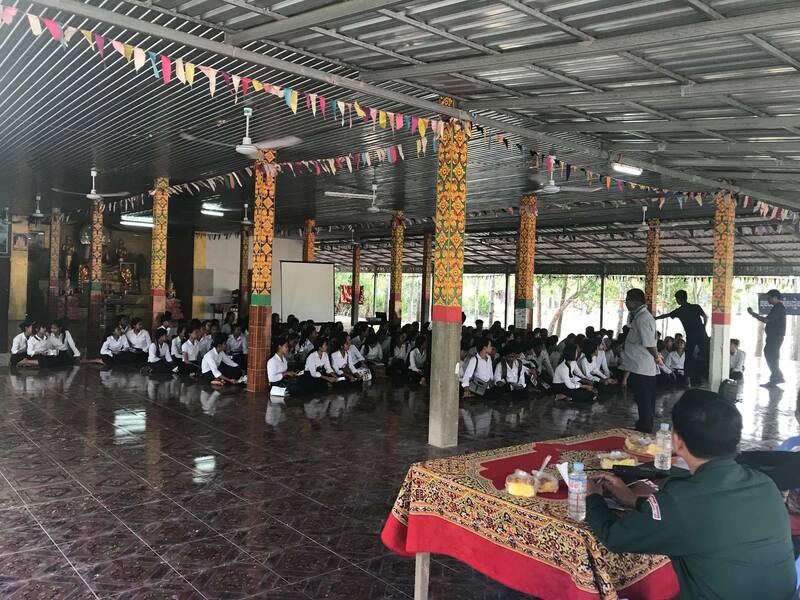 On March 17th, 2018, we had gone to Sway Rieng province to lead a workshop to raise awareness of the danger of drugs usage. In our workshop, we divided into four big topics: types and effects, drugs trafficking, prevention and methods, and Reasons and symptoms of drugs user. There were about 180 students showed up, as well as, local authorities. We divided the students into four teams and each team stays with one organizer that lead one topic and after that, we rotated four times so that each team gets a chance to learned all topics. During the workshop, the students participate very well. They asked good questions, wrote down important stuff, and answering questions very well. At the last minute of the workshop, we also get to show a short story that our team had made that was talking about the effects of drug usage in one family. It seems out that they really enjoyed the story, they were laughed, smile, and kept talking about the father character because he also there as well. Besides the workshop, we also premiered our educational, short film at night in the village that we ran the workshop. The turn out was amazing, with a lot of people, enjoying the film. We live in a society where human rights have never been equal. I and the other 11 students with two facilitators had created one workshop, call Gender Summit, where our goal is to Creating Humanitarian Awareness for the Necessity of Gender Equity (CHANGE). In this workshop we divided into four sessions under the theme of “Empower Change while Preserving Culture”. Our four sessions are power, economic, language, and culture. We ran this workshop in two days on the 26th (English) and 27th (Khmer) of January 2018. 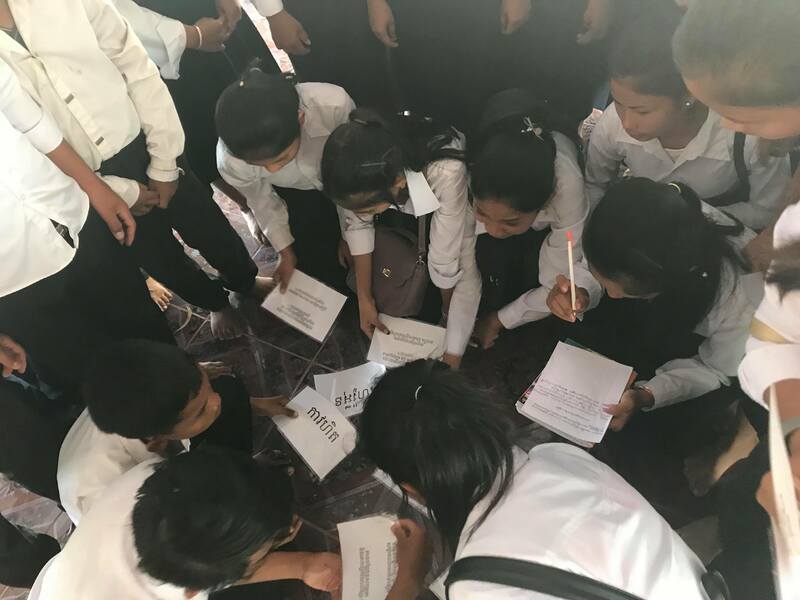 We had invited around a hundred students from around Phnom Penh to participate in our event. During the event, I and another student has a job of making sure the event runs smoothly. So as I walked into each session, the students seem to participate a lot. They asked good questions, raise up good ideas, learned something new, and they also have fun with their teammate and their session leader. At the end of the event, I can see that people have different opinion on gender equity based on where they live and what they have learned from their society. Some people have idea which I disagree, however, I can’t say that they are wrong because they lived in a different society where I do; there might something dangerous that limit them. Although, they have learned a lot and their ideas have changed a lot in the positive way of how to treat people in society. In physics class, we had a project to write an article about any female scientist. My article is about Esther Lederberg. Esther Lederberg born on December 18, 1922, The Bronx, New York City, United States. She was an American microbiologist and a pioneer of bacterial genetics. Notable contributions include the discovery of the bacteriophage, the transfer of genes between bacteria by specialized transduction, the development of replica plating, and the discovery of the bacterial fertility factor F (F plasmid). A child of the Great Depression, her lunch was often a piece of bread topped by the juice of a squeezed tomato. She attended Evander Childs High School in Bronx and graduating at the age of 16. In College, Esther Lederberg initially want to study French or literature, but she switched her field of study to biochemistry against the recommendation of her teachers, who felt women struggled to get a career in the sciences. She received a bachelor’s degree in genetics in 1942 at the age of 20 in New York City’s Hunter College. After graduating from Hunter, Esther Lederberg went to work as a research assistant to Alexander Hollaender at the Carnegie Institution of Washington. Later she had published her first work in genetics. She entered a master’s program in genetics and later finished her master’s degree in 1946 at Stanford University. Esther Lederberg next went to the University of Wisconsin to pursue a doctorate degree. She completes her doctorate under the supervision of R. A. Brink, in 1950. As Esther Lederberg got her PhD, she had made a lot of achievement to contribute to microbiology and genetics. She was the discovery of bacteriophage, a virus that infects E. Coli bacteria. Eventually devised the first successful implementation of replica plating with Joshua Lederberg, and helped discover and understand the genetic mechanisms of specialized transduction. This contributions laid the foundation for much of the genetics work done in the latter half of the twentieth century. In 1959, Esther Lederberg returned to Stanford. 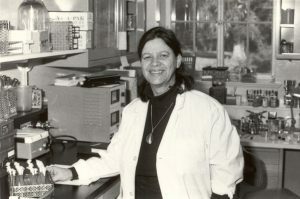 She remained at Stanford for the balance of her research career, founding and directing the Plasmid Reference Center (PRC) at the Stanford School of medicine from 1976 to 1986. Even though, Esther Lederberg was a scientist, she had still faced with many significant challenges as she was a woman scientist in the 1950s and 1960s. In 1966 Lederberg was excluded from writing a chapter in the book of “Phage and the Origins of Molecular Biology”. According to the science historian Prina Abir-Am, her exclusion was “Incomprehensible” because of her important discoveries in bacteriophage genetics. Abir-Am attributed her exclusion in part to the sexism that prevailed during the 1960s. She has not been credited with as much of the credit as she really deserved. Why teach boys not to cry? In literacy class, we had a project to write an article about any topic relating to gender equity. My article is about why is it a wrong thing to teach boys not to cry. Emotion is an astonishing ability that nature has given to us, that made us superior to other animals and organisms. They allow us to understand other and other to understand us. So, why should we teach boys not to cry? We allow ourselves and our people to lose this wonderful connection, to enclose ourselves in our own little worlds where we forget, or chose not to feel those emotions, not appreciating all those gifts that make us human. Boys and girls cry the same amount when they’re babies and toddlers, research shows. “It’s around age 5 that boys get the message that anger is acceptable, but that they’re not supposed to show other feelings, like vulnerability.” said Tony Porter, co-founder of A Call to Men. In Cambodia, as well as many parts of the world, elders often teach boys not to cry. They believe that crying is a representation of weakness. 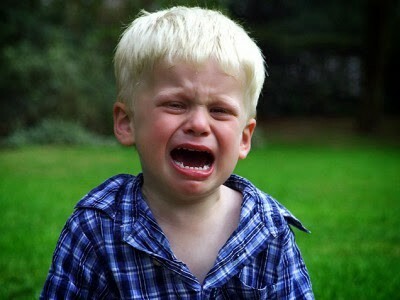 They also believe that boys need to be strong and tough; therefore, the perfect way to do it is by not letting boys cry. One common phrase that Cambodia elders always told to the boys is “ធ្វេីជាកូនប្រុសសូ៑បង្ហូរ ឈាមមិនបង្ហូរទឹកភ្នេក” which translated as, “Be a son rather bleed than tearing”. We allow our daughters to be human beings where we allow them to show their emotions, but do we really want to teach our sons to be robots and bury their emotions? Absolutely not. When they are not expressing their emotions, it seen that the problem is getting bigger and bigger and soon they can’t hold on to it. This can cause them to get depression, and can lead men to suicide. Research showed, globally death by suicide occurred about 1.8 times more often among males than among females in 2008, and 1.7 times in 2015. In the western world, males die three to four times more often by means of suicide than do females. Historically, we taught the boys to not cry and show emotion to avoid appearing weak. After all, this phrase repeated in every generation and everywhere in the world. Depression can be a serious problem if emotion can’t be expressed. We can’t just bury our emotions and instead we should appreciate all those gifts that make us humans. Men need to start getting over that stereotype or that expectation that they always need to be tough because in the long run it could really hurt them. If you are book reader you might have this experience where you turn on the lamp at night to read books and of course you might not be able to read for a long time because all those annoying insect come towed the lamp, you, and your book. If you spend much time at night you will see some of the insect attracted to the street light, house light, or campfire flame. But why are they attracted to the light? Are they attracted to heat of the lights, or the light it self? By reading my report you will know why night insects attracted to light. Hello, world! My name is Lux, and I am 15 years old. I am a student at the Liger Leadership Academy in Phnom Penh, however, I’ve born in a lovely family from Tbong Khmom province, Cambodia. At six years old, I had moved from my family in Tbong Khmom province to study in Phnom Penh with my aunt. It was a really hard time because I still need comfort from my parent. When I was around nine years old, I got a scholarship to learn in the Liger Leadership Academy. Now, I am 15 years old and those experiences have helped me grow and made me realize that I am capable of being independent, and I do not need anyone else in order to survive. In Liger, I’ve been given so many incredible opportunities. Through those opportunities and experiences, I now consider myself as a problem solver, calculated risk-taker, and leadership. I like to learn about biology. Furthermore, I am also one of the eight members of the Liger marine Research Team(LMRT). As a Liger student, I always want to become a change agent, It doesn’t matter on how big or how small it is.